There are countless fun group activities to participate in during your vacation in Pigeon Forge, TN. Exploring the beauty of the Great Smoky Mountains National Park with one another on a hiking trail, scenic drive, or even an afternoon picnic are all wonderful options for your group. Many of the attractions have great group activities for team building. Test your team building skills as your expedition tries to escape an ancient Pharaoh’s clutches by solving the challenges of the Tomb. At WonderWorks you can face a fear of heights and encourage each other to tackle the Spacewalk Challenge, the World’s largest indoor ropes course. You and your group can also try your hand at The Escape Game in Pigeon Forge where you will be locked in a room with one hour to complete a mission and escape successfully! Escaping will require teamwork, quick thinking, determination and a sense of urgency. 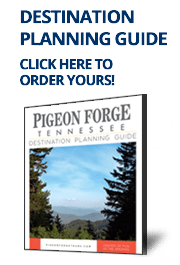 All of these attractions are great for team building and will ensure that your group has the most fun during your visit to Pigeon Forge.